Astro-Terrestrial Refractor Telescope - 800MM X 72MM | BUDK.com - Knives & Swords At The Lowest Prices! 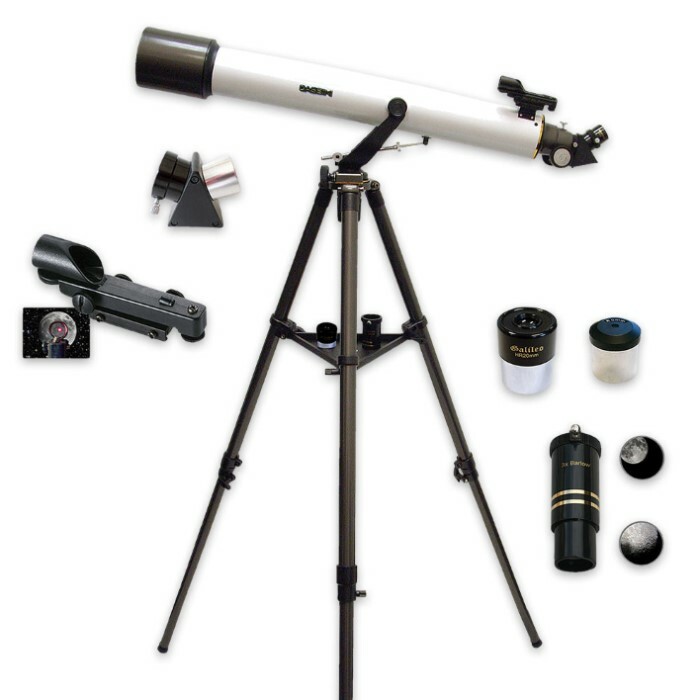 The Astro-Terrestrial Refractor Telescope features a unique Electronic Wireless Focuser enabling the user to focus the telescope without touching it for improved image viewing! It is mounted on an Altitude Azimuth yoke mount. Its easy use up and down, left and right movement is great for beginners and casual star gazers alike. The mount features a slow motion altitude adjustment rod for precision adjustments and is attached to a very sturdy, fully adjustable, pre-assembled metal tripod with retractable rubber feet. The telescope’s optical tube assembly is finished out with a large 1 1/4” format focus tube. 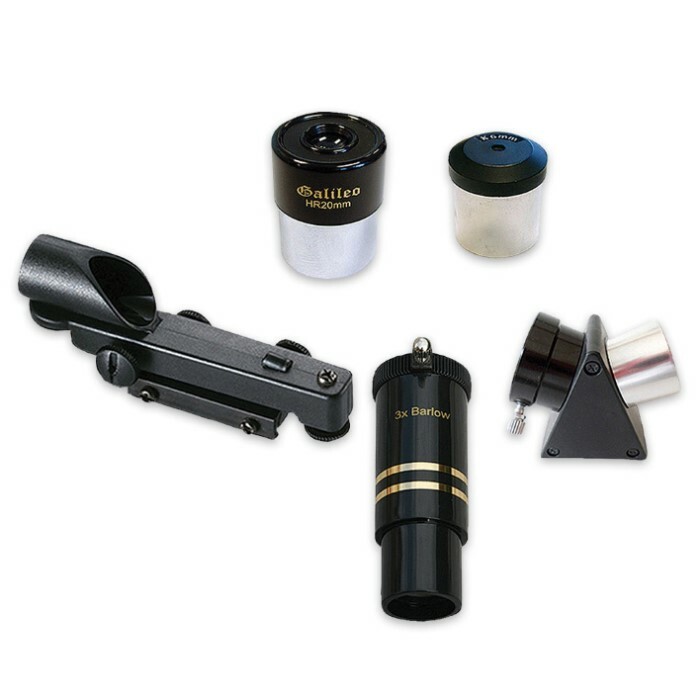 The multi-coated objective lens is a 72mm two element achromatic air spaced objective lens and the optical tube assembly features an 800mm focal length. The tube itself is aluminum, painted flat black internally, and fully baffled for excellent visual and CCD imaging. The diagonal consists of a 45° Schmidt prism that is fully coated in Magnesium Fluoride. The finder scope is Cassini’s Mars’ Eye electronic Finder scope which helps by getting the observer behind the telescope without losing the surrounding field of view when targeting objects. 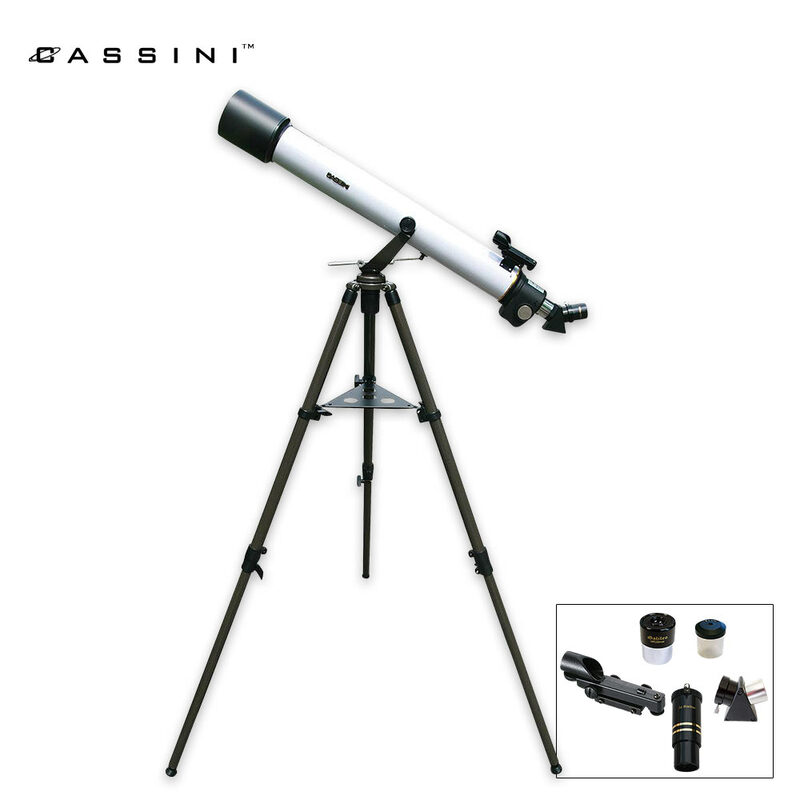 Included with the telescope are a 1 1/4” 10mm Plössl eyepiece and a 1 1/4” 25mm Astroscopic Eyepiece, and a 2 element 3x Astroscopic Barlow.